Since the introduction of Liquid Photoimageable Solder Masks (LPSIM) in the late 1980's, SolderMask, Inc. has continued to be the premier service-bureau applying it to PCB's. SolderMask, Inc. was the first service bureau in the nation to install a Class 100,000 Clean Room for application of LPISM. We have the ability to modify the Clean Room to a Class 10,000 standard when required. 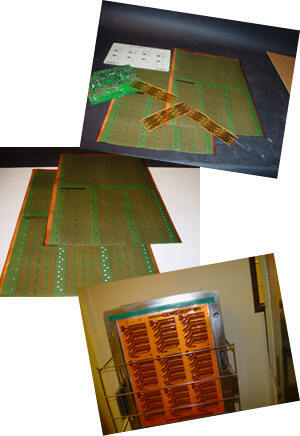 We are unsurpassed in our ability to apply LPISM on rigid, rigid/flex, and flexible PCB's. 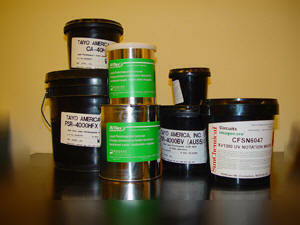 We have developed special applications for customers requiring LPISM onto 24 mm, 48 mm, and 72 mm film strips reel to reel. This is one of many special applications we have developed working with our customers. Other solder mask and colors available upon request.